In a bid to keep live music alive, the New Nadi Farmers Club in conjunction with the Western Musicians and Arts Association has opened the Musician Bar. Situated on the first floor of the New Nadi Farmers Club, the bar opened its doors on Friday night to coincide with the start of the 28th Fiji Bitter Nawaka 7s. Owner Tracey Farrington said the concept was meant to give something back to musicians in the west. “We are promoting live music and home-grown talents here and slowly trying to bring international artists,” said Ms Farrington. The venue has a special feature. 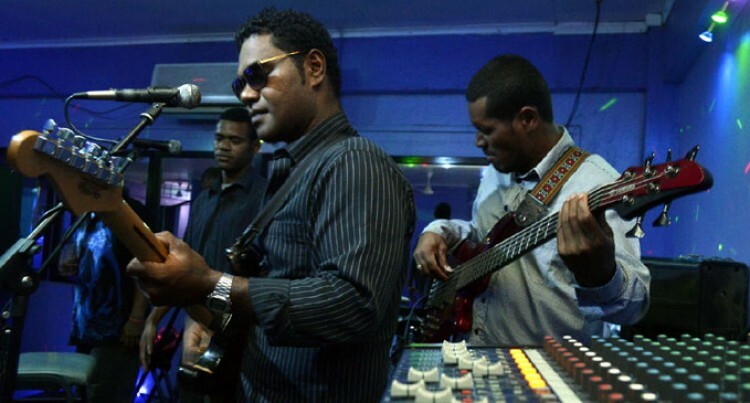 “This is the only place in Fiji where you can have two live bands at one venue,” she said. Ms Farrington said a reasonable investment has been made “from the heart” with new state-of-the-art equipment with takings from the bar going to the pockets of the artists. Well-known artist Jim Ratusila, one of the founders of the group Rosiloa, said this was the type of support local musicians needed. “This is what we have been trying to do in the west as far as I could remember,” said Mr Ratusila, popularly known as Jim. “We thank Tracey and Tom for coming up with this magnificent idea. The place and music is great, something new for Nadi. Mr Ratusila said there was a great bunch of artists who played in hotels who would be part of this venture. The Musician Bar only opens from Thursday to Saturday every week.